Gentle readers, how the year flies. I've just come off a forced "vacation," courtesy of a freak October nor'easter that dumped a foot of snow on my hometown, and took out 95% of the power. I'm a refugee from the 19th century, coming back into the 21st: four days and five nights without electricity, no land line, limited cell coverage, no email, no social media. Everyone is saying that these events "force us to evaluate our priorities," which sounds like a platitude, but the essence of the sentiment is correct. 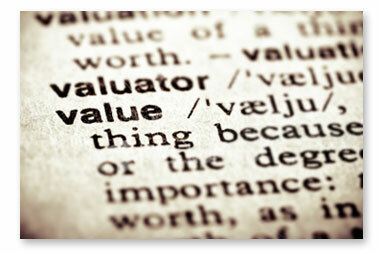 And the key is the "-valu-" in "evaluate." In a marketplace where one can find, read, and buy anything, what matters anymore? I learned that keeping warm in sub-freezing temperatures, having light to see by, and bathing regularly do actually matter. I was willing to trade my time and money to have access to these niceties. So were my peers - my brother sent me camping supplies via the Internet in order to help me out, and I was thrilled. When you have most of a tree down in your back yard, a chainsaw is valuable. But it has to be the right chainsaw - the electric one in my garage was doing me no good as long as I was off the grid. In marketing speak, it had no value proposition. So here's the lesson for my nonprofit clients: Have an emergency plan (if you don't, get in touch with me, and we'll develop one together); and know what's valuable in very specific terms about what it is you have to offer your audiences/customers. It doesn't do any good for the staff and leaders of a nonprofit to "know in their hearts" that their organization and its work is valuable. The only thing that matters is whether your audiences/clients/customers instinctively understand your organization's value from their own personal experience. They have to have firsthand experience, a sort of "aha!" moment that will cement their relationship with your organization in their mind. How can you create that "aha" moment? My suggestion is to constantly measure your organization's services against the marketplace, and look for ways to improve the connection between them and your supporters. The closer the connection, the more value is created. People will support (i.e. volunteer, contribute, pay for) their first priorities first. Logical, right? During the power outage my first priority was to stay warm. My second was to eat. My third was to have light. My last was to have a hot shower. Everything else kind of fell by the wayside. Folks are stretched to the max right now. Money isn't plentiful, and demands are multiplying. You need to reach out and say, "We're here, we're valuable because..." and the appeal has to match a need in the supporter's life. Here's a litmus test: Is what we have to offer the best available? Is it useful? Does it meet a real need in the community(ities) we serve? Is it easy to understand? Is it affordable? Do people want it, or do we have to really fight to get people's support and attention? Value. It's the only thing that matters right now, and honestly, I don't see that changing. This is the "new normal" everyone is talking about. Get used to it, and change if you need to. I'm off to start up the chainsaw. Hope you all survived the storm okay! Peace.